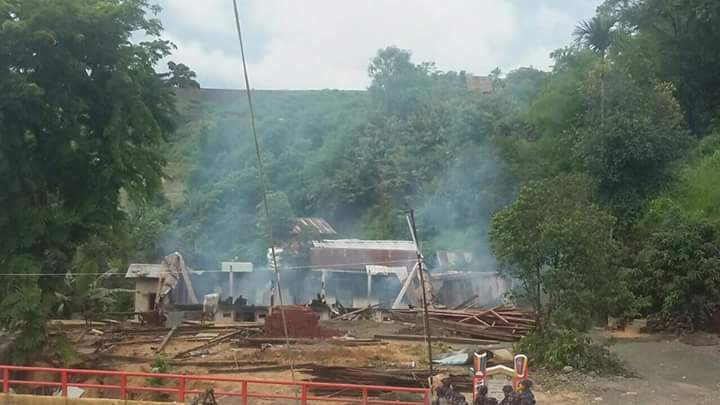 A Prayer Hall in Hpakant Township, Kachin State was destroyed and set fire by Buddhist mob after several requests from local and national level Islamic organizations to democratic government were ignored. Proudly waving Buddhist Flags, hundreds of people led by monks participated in this Friday evening attack in Lone Khin village. Local Muslims fled in fear of further attacks. 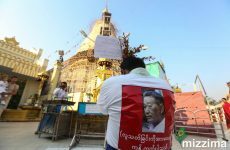 Although it was built with the permission of local authorities 25 years ago, radical ultra-nationalist group tried to wipe out the Prayer Hall in recent weeks accusing as an illegal place of worship. 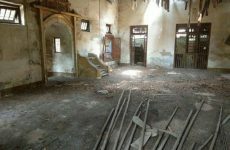 Mosque’s board of trustees and national Islamic organizations sent several request letters to government officials including State Counsellor to save this place of worship. But no actions were seen. 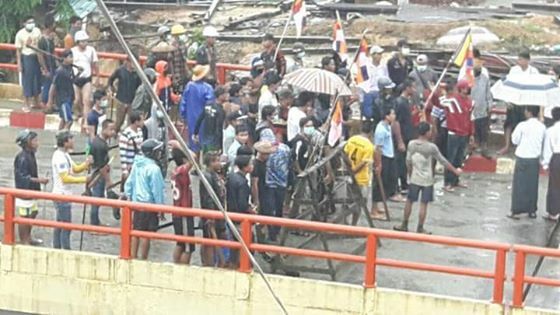 It is second attack within a week directed to Muslim minority in the Buddhist majority country after a mosque and Muslim cemetery were destroyed in central Bago Region.